Virtual Reality is about to explode. While the notion of immersive entertainment has been around for decades, it's only now that technology has caught up and finally made it a viable proposition for consumers, and 2016 may well go down in history as the year VR broke into the mainstream. HTC has its Vive headset, the Facebook-owned Oculus has the Rift - arguably the product which kick-started the public's reappraisal of VR in general - and in the home console arena Sony is ready to spring its PlayStation 4-focused VR headset. However, all of these units come with lofty price tags attached which could prevent them from hitting the audience they deserve; it falls to Korean tech giant Samsung to provide a truly mass-market VR headset in the form of the Gear VR, designed in conjunction with the aforementioned Oculus. The Gear VR is basically a plastic shell into which you insert your Samsung-made smartphone, and it actually launched last year alongside the Galaxy S6 and Note 5 devices. With the Galaxy S7 now on the market, Samsung is giving the device a fresh push, even going as far as to offer it as a freebie for North American consumers who snap up the company's newest smartphone. Can such a product really compete with the dedicated headsets arriving in 2016, or is this cheap and cheerful effort little more than Google Cardboard in fancier clothing? We're about to find out. The Gear VR might seem like little more than an empty husk when your phone isn't in it, but it actually contains some elements which are essential to the VR experience. First up is the field of view lenses which can be adjusted depending on your preference. The headset also contains its own IMU (Inertial measurement unit) for more accurate head-tracking, and there's a proximity sensor inside which turns off the screen when you remove the device from your bonce. The information from the IMU and sensor is fed into your smartphone via the Micro USB connection, which is found in one of the two spring-loaded clips which hold the phone in place. 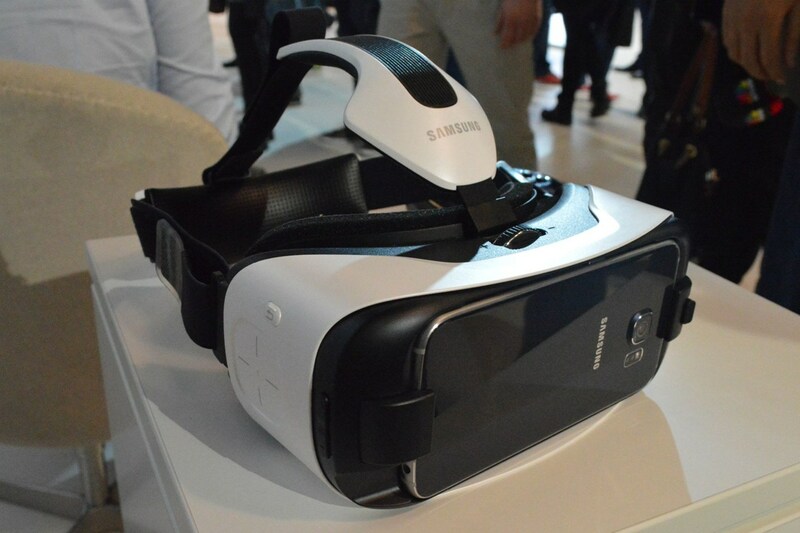 The Gear VR takes power from your phone in order to function - there's no internal battery to worry about charging. Surrounding the inside of the headset there's a soft material which is relatively comfortable against your face, although we did find that the plastic on the bottom edge of the unit often makes contact with the bridge of your nose. The fit is adjusted using a two-strap system - one goes around the back of your head while the other goes over the top. Both have velcro for fastening and are made from an elasticated material, so getting a tight fit is relatively easy. Because smartphones are quite lightweight these days, the overall weight of the Gear VR with its Galaxy-powered CPU brain isn't much, and we certainly didn't find it uncomfortable to use over prolonged periods. 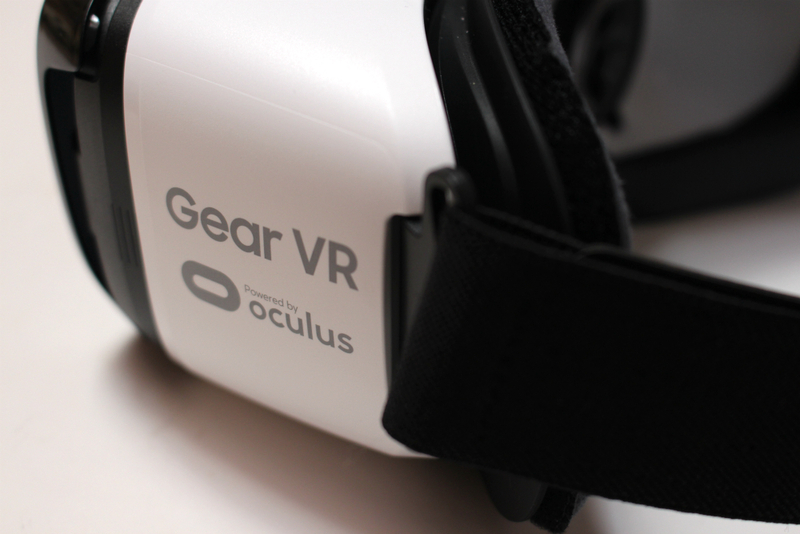 While the Gear VR can be used with a Bluetooth controller, the main interface is the touch-sensitive directional pad on the right-hand side of the device. Swipes and taps are used to move around and make selections; a tutorial explains exactly how to use this interface, but even after a few hours it doesn't feel as intuitive as it possibly could do. Just in front of these controls you'll find the volume rocker, which is handy as it's impossible to access any of your phone's buttons when it's docked inside the Gear VR. Speaking of audio, you really need to use a pair of headphones to get the full immersive experience - otherwise the sound simply comes out of your phone's mono speaker. There's a cutaway on the front of the device which permits headphones to be plugged into the phone while it's inside the Gear VR - a more elegant solution is of course to use Bluetooth headphones, but we noticed issues with some games where the audio was distorted and in some cases entirely broken. For the time being at least, wired headphones might be your best option. Audio quibbles aside, general performance is excellent, with the Gear VR tracking even the smallest head movement with striking accuracy. Image clarity is slightly less impressive; although the phones that the headset is compatible with all have high-resolution displays, there's still quite a lot of pixelation on the image - hardly surprisingly when you consider that the phone's screen is millimeters away from your eyeballs. It's forgivable, but it smacks of "first gen" VR tech. Another problem is that the lenses start to fog after a while as the tightness of the unit against your face means heat can't escape; the second "innovator" edition model of the unit boasted a fan to alleviate this issue, but this isn't included in the consumer version. Elsewhere, there's a Micro USB Charging port which allows you to power the headset independently from your phone - handy if you're concerned about VR sessions depleting your battery, which they most certainly will - about 30 minutes of VR gobbled up approximately 15 percent of our Galaxy S7's juice. The instruction booklet mentions situations where both phone and USB power are required - presumably for super-detailed games - but we weren't able to locate any on the Oculus store which required this. The moment you connect your Samsung smartphone with the Gear VR you'll hear a friendly female voice state that the Oculus app needs to be installed before you can use the device, which annoyingly means you then have to extract the phone to use the touchscreen. The Oculus app is where all the magic happens - from here you can download apps and games and see what your friends are up to. An Oculus account is required and this works very much in the same way as Xbox Live; you can make connections and see what your mates are doing. Many of the best Oculus VR games are premium propositions, so it should come as no great shock to learn that one of the first things this app prompts you to do is insert your credit card details. You can skip this element if you so wish, and there are a number of free downloads to try out first. Video is a big part of the VR boom at the moment, with some apps - such as the Jurassic World: Apatosaurus - offering a 360 view of a linear 3D video sequence. Oculus 360 Photos allows you to view curated snaps taken at various famous locations; tilting your head to look up at the Eiffel Tower is quite an experience, even on a static image. 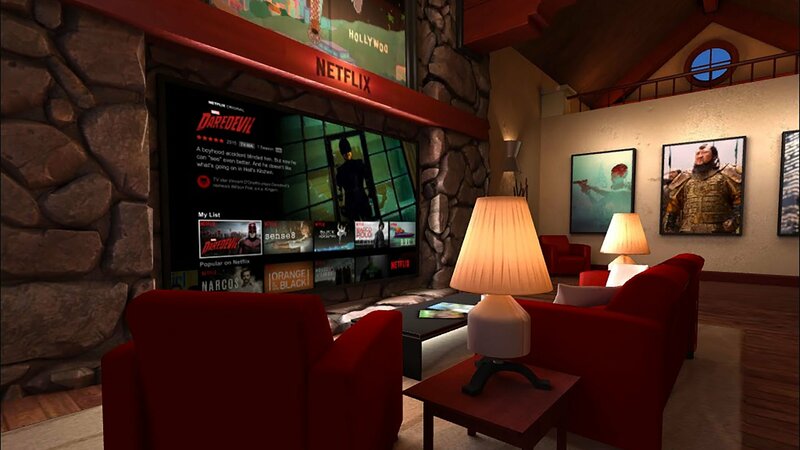 Elsewhere, Netflix has a free app (which naturally requires a working subscription to the service) that places you in a massive living room with a virtual TV set in front of you. It's a neat parlour trick but begs the question - why would you pretend to be in a room watching Netflix when you could simply do it on your own television? That aside, even outside of "games" it's clear that Gear VR offers experiences which cannot be replicated elsewhere in the tech world. More promising is the Gear VR's potential for interactive and immersive entertainment - and this isn't confined entirely to the traditional concept of "games". The Oculus store is packed with VR "experiences" which range from stories told in 360 degree video to intriguing narratives shaped by your phone's 3D graphical muscle. There's even educational stuff on here; a couple of apps give you a guided tour of the solar system, running through each planet before dashing away, a ride which makes you feel truly humble about your insignificant place in the universe. However, it's gaming that we're primarily interested in here, and as you might expect the kind of titles available at the moment feel like tentative explorations into what VR can offer players rather than definitive, AAA reasons to invest in a headset right now. 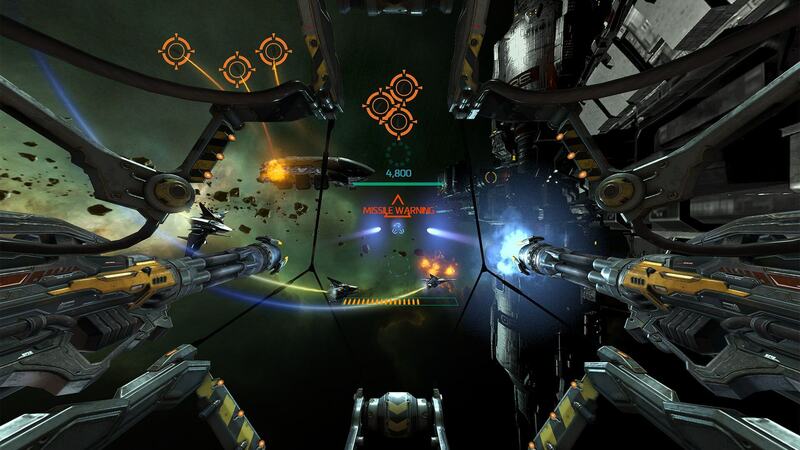 Some titles are simplistic yet incredibly engaging, such as the EVE spin-off Gunjack and the very similar Cosmos Warfare. Both of these titles place you inside a gun turret so you have no influence on your movement within the game - you simply look around to aim and shoot. Despite the limited scope of the gameplay, it's an impressive spectacle; the vastness of space is communicated very effectively and the first time you look around and see ships, planets and stars all rendered in glorious 3D is something you'll remember for a long time afterwards. 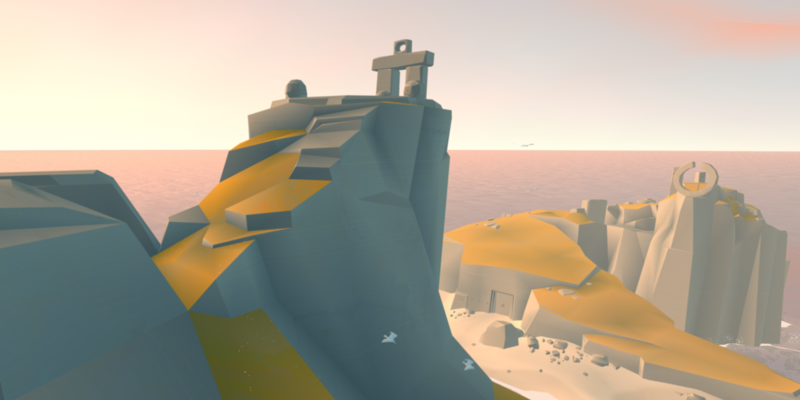 Other games harness the power of VR to give emphasis to immersion and atmosphere; Land's End - from Monument Valley studio ustwo - is essentially a puzzle title viewed through your headset. The environments are gorgeous and there's a sense of involvement which simply wouldn't be possible if played with the traditional "screen" interface. There are a selection of similar titles which - while not pushing the boundaries of the technology - nevertheless do an excellent job of using it to place the player inside the game like never before. Elsewhere, there are interesting takes on the whole "alternate reality" idea. Oculus Arcade is a collaboration with Sega, Midway and Bandai Namco which offers the player a virtual amusement arcade, packed with old video games. Each one offers 20 minutes of free play before asking you to stump up more cash, and while the Sega titles cheat a little by offering the Mega Drive versions rather than the more technically impressive coin-ops, it's an interesting proposition all the same. The cabinet is rendered in 3D, right down to the sticks and buttons which move and click as you play - needless to say, you'll need a Bluetooth controller for this one. During play, you can look around the arcade, and the ambient noises add to the authenticity of the experience - it's just a shame that you're the only person there, which makes the whole thing feel a little empty. It's clear that developers are still finding their feet with VR gaming and in the case of the Gear VR, the lack of a dedicated controller or motion input device limits the scope of what can be achieved; the touch-pad on the unit itself is woefully inadequate for serious play, and "looking" at things can only go so far when it comes to interaction. Thankfully, Bluetooth controller support is pretty robust, so hopefully we'll see more titles make use of control pads to give a deeper, more rewarding experience. 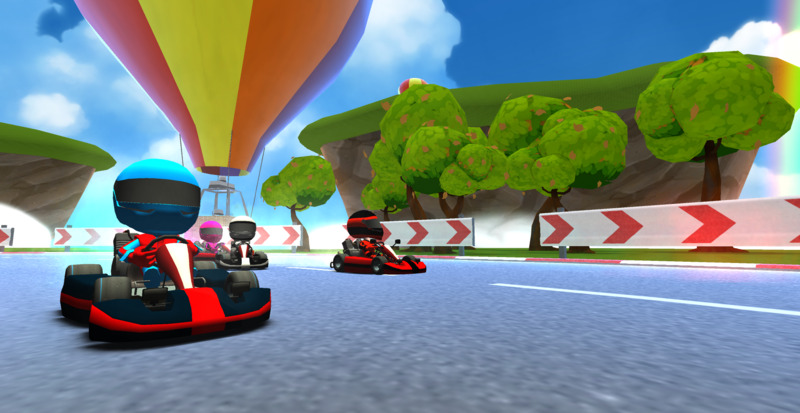 The cartoon-like VR Karts is a tantalising glimpse of what this future could be like; it's basically Mario Kart in Virtual Reality and uses the pad to deliver surprisingly engrossing gameplay. Considering that Gear VR has only been available at retail since late last year, the Oculus store is already packed with striking apps and games. Some are a little on the pricy side - EVE Gunjack is £7.99, which places it way above the typical price of a mobile title - but you don't have to spend a lot to find a download that holds your attention. From a software perspective then, Gear VR - and the Oculus store in general - is in a better place than you might expect at this early stage, although it's impossible to shake the notion that developers are still testing the water to see what works and what doesn't. 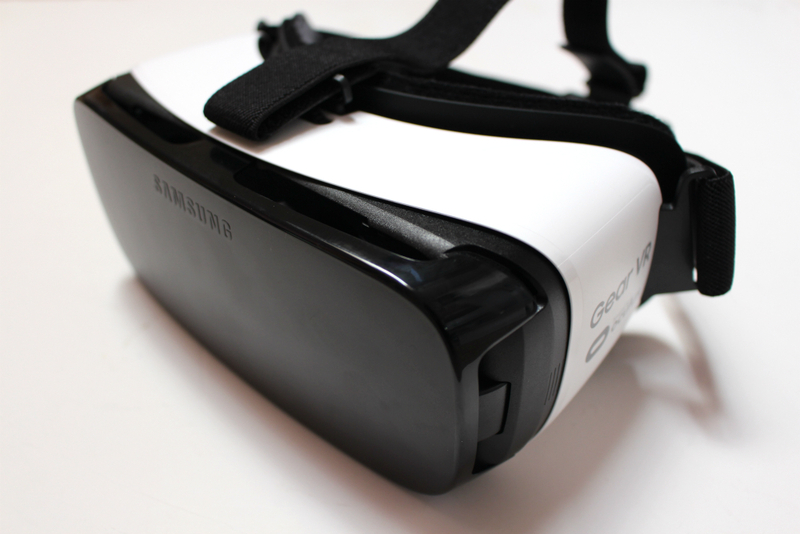 From a hardware perspective, the Gear VR is incredibly impressive. 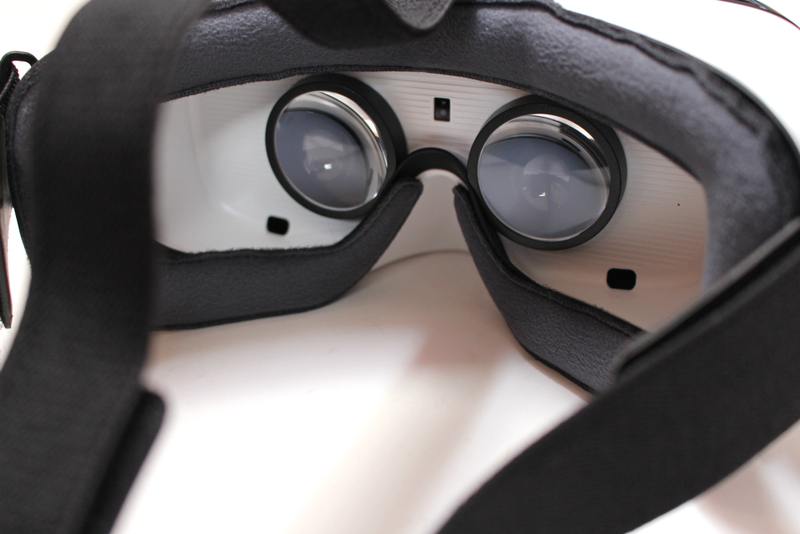 Fitting the Gear VR is easy and adjusting the lenses is effortless. The touch-sensitive control pad can take some getting used to and the rather pixelated visuals look a bit rough, but this is, after all, a VR solution which costs less than £100 (not including the price of your Galaxy smartphone, of course). 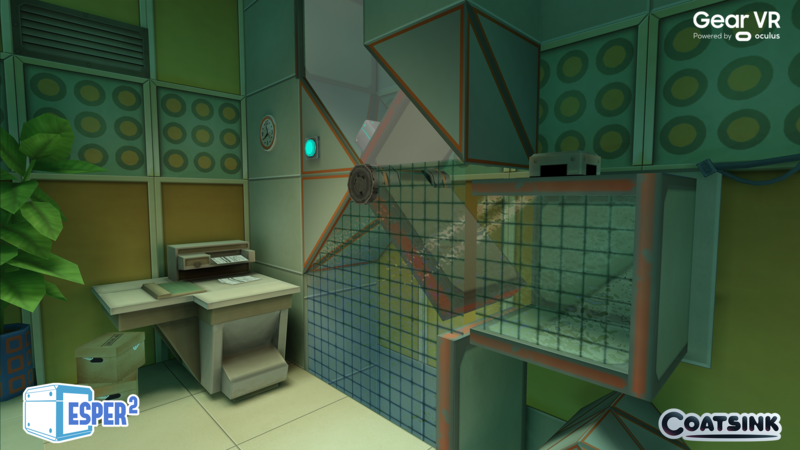 We didn't notice any issues with the motion tracking and were in fact surprised at how accurate and responsive it is - however, it's worth pointing out that we did suffer from a few moments of quesiness due to motion sickness. While some people will see Samsung's decision to make the Gear VR reliant on its smartphone range as a mistake - especially if they own a rival brand - it's actually a very clever strategy when you consider how popular Samsung's phones are globally. 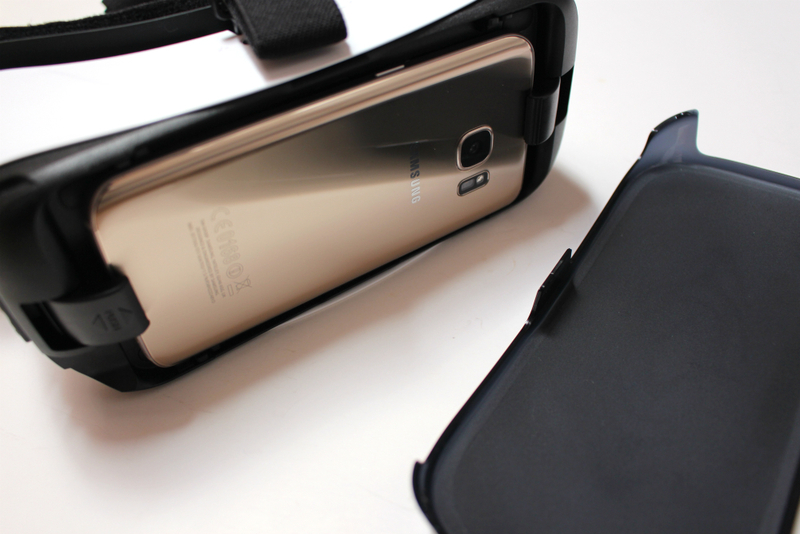 Thanks to Mobile Fun for supplying the Gear VR used in this review. Because of the large install base of Galaxy owners, the Gear VR has a good chance of being one of the first VR devices to see mass-market penetration - the low cost will make it an easily justifiable purchase for Samsung fans who want to hop on the VR bandwagon at the lowest possible price. Mimpi Dreams - It's about a dog that can dress up as a pirate, what's not to like?